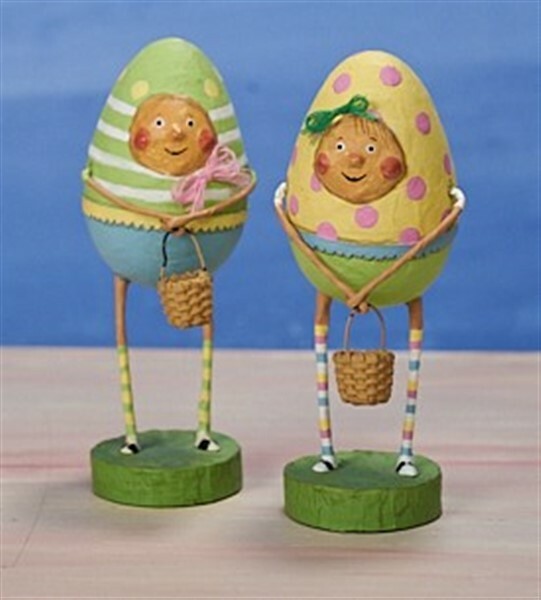 This darling duo will bring fun and whimsy to your Easter decorating. Designed by Lori Mitchell, they are approx 6" tall and are made of resin, yarn and wire. They make such a cute couple and are sold by the pair but you could give one to a friend. They even could be a fun wedding topper for an Eastertime wedding.